Sciblogs | Are deer sort of like moa? Are deer sort of like moa? In this two-part series, Dr Jamie Steer ponders whether the ‘deer are like moa’ debate has passed its use-by date. Writing on the impacts of introduced deer in the Transactions of the New Zealand Institute in 1892, the Reverend P. Walsh argued that New Zealand’s native forests were poorly equipped to deal with grazing mammals. Taking the pre-human forest as his Edenic baseline, he felt that species like deer should be removed from the wild as soon as possible. Later, in the 1920s, the influential local botanist Leonard Cockayne argued along similar lines, noting with horror that deer were gobbling up his favourite plants. Around the same time, ‘enclosure plot’ studies were first established in the country. Sections of native forest were fenced off from grazing mammals and the vegetation within these plots was compared to that outside. The results soon ‘proved’ that grazing mammals damaged the forest because plant growth was more lush inside the fence than out. Clearly, argued the opponents of deer, the New Zealand forest would be healthier without ungulates and, importantly, more representative of the desired pre-human state. Sensing danger to their favoured quarry, deerstalkers swiftly countered with an alternative theory. They suggested that, until humans wiped them out around the 1300s, the numerous species of native moa had ecological effects similar to grazing mammals. They proposed that introduced herbivorous mammals were now regulating the forest in similar ways to moa, performing similar functional roles, and so keeping the forests closer to their pre- human state. He therefore agreed that grazers must be necessary to regulate such exuberant growth. These early contributions laid the foundations for later claims that introduced ungulates (and deer in particular) were helping the forest return to a more natural state. This position later provided a useful ecological case against attempts to eradicate deer, especially in the 1970s when commercial deer hunting was at its peak and deer populations were at their lowest in decades. With extermination looking like a genuine risk, hunters argued that deer were necessary to restore the natural composition of the forest. Removing them would not return New Zealand’s forests to their natural state, because previously those forests had been heavily browsed by moa. The forest needed new browsers, meaning that deer and conservationists should be seen as partners, not rivals. In the 1980s, support for this view reached its peak. In spite of the reservations of many ecologists, deer in New Zealand were often seen as necessary herbivores. It was widely acknowledged that extinct species such as moa probably had large-scale and long-standing effects on ecosystems, and that their disappearance had dramatically altered forest structure and composition throughout the country. “We must now accept that the pre-Polynesian forests of New Zealand could have been as different from the forests of the immediately pre-European era as the latter were from the native forests of today. Although prominent game animal biologist and historian Graeme Caughley was less emphatic, he too suggested that deer would have similar effects to moa and that, crucially, forests with deer would be more like pre-human forests than those without them. Despite all this, debate since has become increasingly polarised. Common to each pole, however, is the notion that the desirable state for New Zealand ecosystems is a pre-human one. 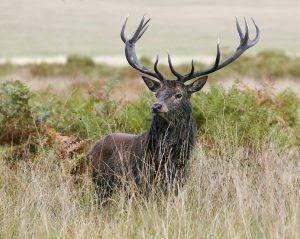 Those in favour of deer as functional equivalents to moa – mostly hunters – continue to argue that ecosystems containing deer are more similar to pre-human ecosystems. 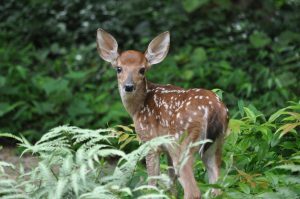 Those against – mostly mainstream conservationists and conservation biologists – argue that deer do not fill a similar role to moa and therefore only move ecosystems further away from their pre-human condition. Read part two of ‘Are deer sort of like moa?’…. 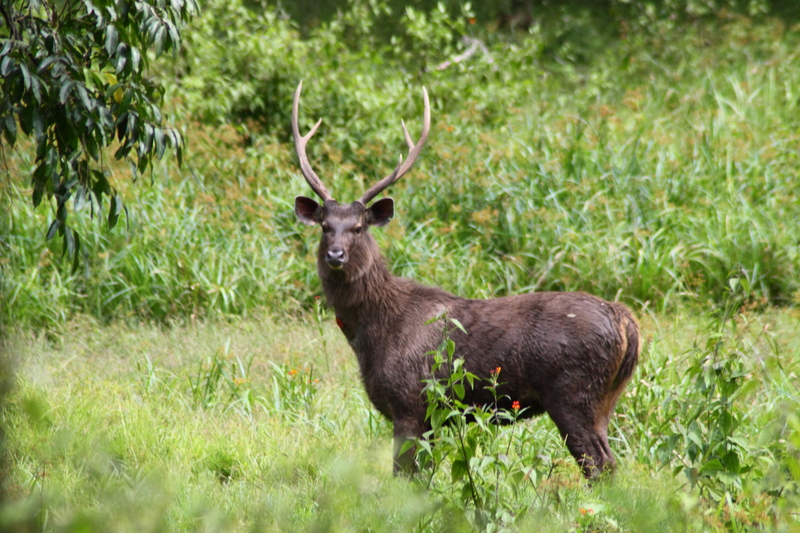 Featured image: Sambar deer stag. See Creative Commons.